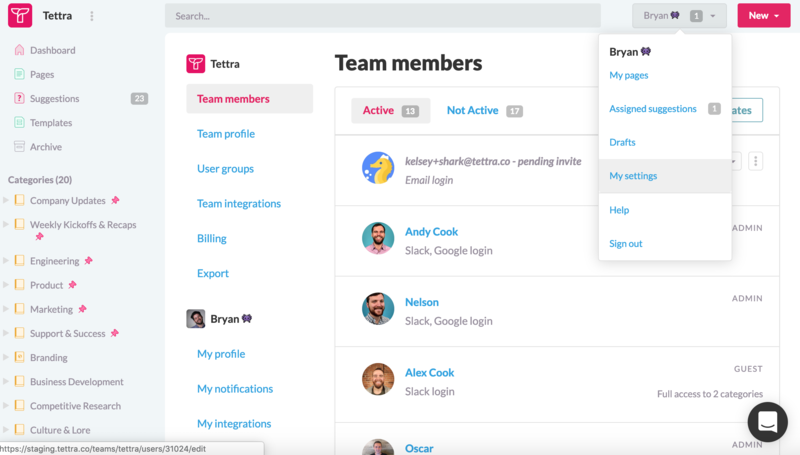 To remove users from your Tettra account visit the 'Team members' section from the 'Team settings' page. All Tettra admins have the ability to deactivate users. You can remove any user other than yourself. Once deactivated, the user will show up on the 'Not Active' tab, they will not have access to any Tettra pages, and you will no longer be billed for them. Any pages the deactivated user has authored will remain within your Tettra account. To reactivate a user, navigate to the 'Not Active' tab. Admins will have the option to reactive any Tettra user that has not been deleted in Slack.